SwagBucks is one of the biggest and most popular online reward portals and survey sites with over 20 million users. So if you are not already a member, there are good chances that you have still heard about SwagBucks before, if you are interested in making money online. If you are already a member, you might however want more chances to earn money. Or you might live in a country where SwagBucks is not available. The good news is that there are plenty of good alternatives to SwagBucks. So whether you want to find an extra reward site to increase you earnings, or if you want to find alternatives, because you do not have access to SwagBucks, you have plenty of opportunities. By joining other sites as well, you will be able to increase your earnings significantly. 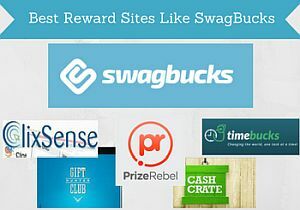 Therefore, I have made this list of the best reward sites like SwagBucks, so it will be easy for you to find the legit and worthwhile alternatives. Why join other sites than SwagBucks as well? Above, I have briefly mentioned why it might be worth considering joining other sites than SwagBucks. Let me first make it clear that I am fan of SwagBucks, and it is one of my top rated reward sites. So the reason to find alternatives is not that SwagBucks is not a good site. If you can join SwagBucks, I definitely recommend that you do (you can read my full review of SwagBucks here and also learn how to get $5 joining bonus). But even though SwagBucks is a great site, there are limited opportunities, as there are on any survey or reward site. That is why it in general is great to join several sites, if you want to increase your opportunities. Then by combining the different opportunities on the different portals, you will be able to boost your earnings. Also, if there is a day when one or several of the portals do not have very many opportunities, then you have the others to use that day. Some people also do not have the possibility to join SwagBucks. It is still limited to a fairly few countries and is only avaulabek in the US, Canada, UK, Ireland, Australia, France and Germany. So if you do not live in one of these countries, you should not be discouraged – there are plenty of other good and legit reward sites to join instead. How much money can you make by joining several reward sites? Before we get to the list of the best alternatives to SwagBucks, I want to make an important point. Joining several reward sites can make you some nice money. It will however NOT make you rich, even if you join many sites. This is important to remember, and if you join a reward site with that expectation, you will be disappointed. That is why I always make sure to make it clear that it is not a way to get rich online. But it can make you some nice extra money. If you go into it with this attitude, it will be fun, you will enjoy doing the tasks, you will have the necessary patience, and it can then be a great way to make some money. And also the only way to make money online without any investment or risk at all. PrizeRebel is one of my absolute favorite reward and survey sites. It has many ways of earning money. You can do surveys, CrowdFlower tasks, take offers, get paid to play games, refer friends, participate in daily challenges or participate in the frequent free contests. PrizeRebel also often offers free points through promo codes on their Facebook page, and the more activity you have, the more advantages you will get, as there are different membership levels depending on your earnings. So PrizeRebel is a great addition to SwagBucks or a good replacement, if you live where you cannot join SwagBucks. As SwagBucks, it offers a big variety of earning methods. Even though it has most opportunities in the US, the UK, Australia and Canada, it does not mean that there are no opportunities for other countries. There are a good amounts of opportunities in many countries, and if you live in a country where there for example are few surveys, then you will probably still have the CrowdFlower tasks, which can also be a great way to earn money. ClixSense is one of the survey sites i have had the most success with myself. It does not offer as many ways of earning money as SwagBucks, but it is still a great site with some great opportunities. You can mainly earn money by doing surveys, take offers or by doing CrowdFlower tasks. You can also earn by inviting friends to join, or have a certain activity in a day, which will give you a nice bonus. ClixSense also has games you can play, but these are only for fun, and not a way to earn money. One of the great aspects of ClixSense is that everyone can join. There will however not be the same amounts of surveys available in all countries, but there are good chances that you will find some no matter where you are from. If you do not get a lot of surveys, you should consider trying the CrowdFlower tasks. ClixSense is in my opinion the best site to CrowdFlower tasks, as you can earn some great bonuses this way. Like with every other survey site, you will not qualify for every survey that is available. So if you several times do not qualify, do not give up. Just keep trying and after a while you will know what kinds of surveys you most often qualify for, and then you just focus on these. TimeBucks does not only have a part of the name in common with SwagBucks. It does also offer a lot of different earning methods. Some are quite unique for a reward portal. You can for example earn money by growing a beard or taking selfies. Of more usual earning methods, TimeBucks offers an offer wall, you can do surveys, watch videos, view content, read emails, refer friends, and participate in contests and raffles. It is quite an interesting reward site that offers good opportunities for most countries. If you do not qualify so much for the surveys or offers, they will still be plenty of opportunities. For example, you can participate in the “grow a beard” challenge no matter where you live, and also get paid for viewing content etc. It does in some cases not give as high rewards for surveys as the 2 sites above, but it still has some great opportunities, and can be worth checking out. Gift Hunter Club is a fairly simple site, but easy to use and has a good amount of different opportunities. You can of course earn money by doing surveys, but also earn by watching videos, listening to the radio, take offers, invite friends, do CrowdFlower tasks, and participate in free contests. Gift Hunter Club also has an official app, so it is easy to use the platform on the go. This is the only reward site I have seen that particularly offers many possibilities aimed at Spanish-speaking countries. So if you live in Spain or Latin America, you should definitely check out Gift Hunter Club. But you can also benefit from joining from other countries. Exactly how many opportunities you will get in other parts of the world will be different from country to country. But it can be worth testing in your own country. If you prefer only joining 2-3 reward sites for now, I would suggest you join the ones above instead, unless you live in a Spanish-speaking country. CashCrate offers quite a lot of different earning methods, but in my experience it takes a bit more patience than some of the other sites on this list. You can earn by doing surveys, taking offers, watching videos, get cash back for shopping, refer friends, participating in free contests, and by playing games. A little extra interesting way to earn is by uploading payment proof when you have received a payment from CashCrate. As mentioned, I think it takes a bit more patience to make money on CashCrate. It has many opportunities, but it also seems you have to for example try quite a lot of surveys before qualifying. That can be the case for most survey sites, but I think it is more often than usual that I do not find surveys on CashCrate. Also, you have to be a bit more patient to get a payout, as the payment threshold is $20 which is a bit high. It does however have some great features like for example always giving extra rewards on holidays and having regular free contests. As you can see, there are plenty of other sites you can make money on than just SwagBucks. None of them are quite as big as SwagBucks yet, but that does not mean they are not good. This is of course not a complete list, but these sites are all legit and offer good opportunities, so it is a great place to start. If you want to join even more reward sites, feel free to have a look around my site for inspiration and read reviews, or ask for advice in a comment below. If you have any questions or know of a site you think should be on the list, just drop a line or two below. Did not know survey sites are this much. I used to be interested in the ones that paid by paypal, it’s a lot easier and faster these days to get rewards for your efforts. I was on Swagbucks for a while but the signing in part use to do my head in. The verify you are not a robot thing is really silly as it just made wonder why i was wasting my time there for. Surveys are not a get rich scheme, for all that time you put into surveying stuff, one can use it on learning a good online business. Any tips? Thanks for your comment Excelle and thanks for sharing your experience. No surveys are not a way to get rich. It can make you some nice extra money, but if you are looking for a way to become rich online it will take hard work and patience. You can check out the info I have about Wealthy Affiliate, as that it is a great place to start learning about building an online business, if that is what you are interested in. Just be careful about what you join or pay for, as there are unfortunately many scams out there. Theres some really awesome info in here! I use survey sites for flight points but it does take a long time and a lot of patience. I thought using survey sites to earn money would take forever and not be worth it, but it seems by your review that not all survey sites are that way. very cool! Thanks for your comment Stephanie. It can be a great way to make some extra money on the side, if you join the right sites like for example SwagBucks. But just do not expect it to make you rich, as that is not possible. But can definitely make you some nice extra cash. This is very informative. I myself didn’t think that could make any decent money at do surveys. After reading your page i am thinking about looking into swagbucks and see if it is good. Thank you for putting this information up for people that are looking to make extra money. How long have you been on swagbucks? Thanks for your comment and feedback Heidi. It is definitely possible to make some nice money on surveys – just do not expect it to make your rich or to make a living from it. I am actually not using SwagBucks myself at the moment, as I recently moved to a country where it is not available. That is also why I am very glad there are plenty of good alternatives to join as well. Thanks for your feedback Miguel. Glad your liked the info. SwagBucks is definitely one of the survey sites worth joining, if you live in a country where it is available. Love your list. 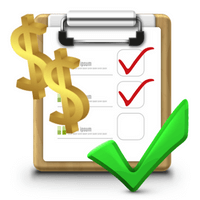 I am totally interested in making some extra bucks on the side and I started looking into legit online survey sites. I have a friend who recommended Paid View Point. I have not done much research on the company yet as I am still looking around for personal reviews of the best online survey site. Are you familiar with Paid View Point? If, yes, I do appreciate your feedback. Yes I know PaidViewpoint. It is a great survey site. The reason it is not on this list is that it is not very similar to SwagBucks, but it is still a site I definitely recommend. You can read my full review on the link just above. It is a very simple site that only offers surveys. Not necessarily very many, but the ones that are there pay well and are short. It is however mainly a site for people living in the US, Canada and the UK, and to some extent Australia. If you do not live in one of these countries, you will not get a lot of offers. A very unique and amazing aspect of PaidViewpoint is that you will never be offered a survey that you end up not qualifying for. So if you are offered a survey, you will for sure be able to take it and get paid for it. So if you live in one of the countries mentioned, it is definitely a great site to join.